Today I’m taking you behind the scenes of my blog to share with you 5 things I am embarrassed to tell you about my weight loss journey. Now, let me be honest and tell you that writing this post is making me sweat a bit. Sometimes on social media and websites, we have a tendency to only show the highlight reel of life (and understandably so). As someone who writes about weight loss and runs an online weight loss program for women, I won’t kid you that at times I feel the pressure to showcase a healthy, fit life. I believe this is important. I never ask my readers or members to do anything I am not myself living out in practice. While there is benefit in putting our best foot forward, I also believe in owning up to our truth. And here’s the thing – many times my weight loss journey is hard and sometimes it gets messy. No, let me say that better. Sometimes I am a hot mess when it comes to my weight and food. Despite the fact that I am maintaining a 100 pound weight loss, I am so far from perfect when it comes to food and fitness. 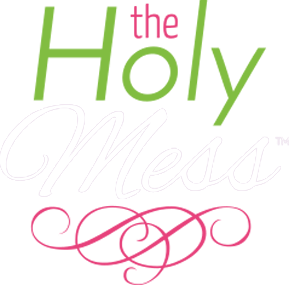 I named this website The Holy Mess for a reason. Life is messy, and when we put on a facade it doesn’t serve anyone well. God takes the messy stuff of life and makes it holy when we give it to Him to bless and use for His purposes. 1. I’m embarrassed about my weight. This is the grand-daddy of things I’m embarrassed to tell you so let’s go ahead and get into this one before I chicken out entirely. Even though I’ve lost 100 pounds, I’m not at the goal weight the charts say is normal. Climbing a 14er in Colorado. 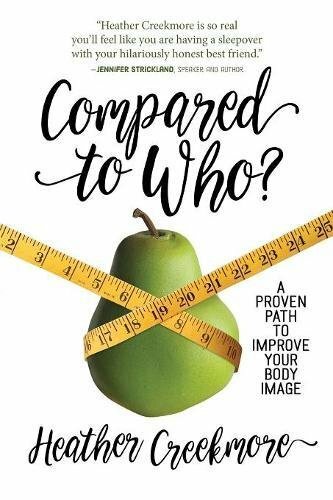 I once read that for people in the health and fitness industry, “Your body is your resume.” That makes me cringe, because if a perfect body is the requirement for leading people on their own weight loss journey, I’d might as well close down my website now. 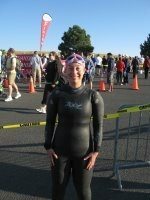 When I lost 100 pounds, I actually lost a little over 100 pounds and for a very (VERY!) short period of time I got down to the goal weight the charts tell me is my normal. That lasted for about 2 weeks. I liked being able to fit into thinner clothes (which, by the way were size 12s and currently I wear 14s), but that weight was totally unrealistic for me. I was working out a LOT and eating what felt to me like not much. My weight went back up a bit to where it is today and has stayed about the same for the last 10 years. When we moved to New York, the stress of the move caused some weight gain so I rejoined Weight Watchers, but generally I’ve been right about the same weight. 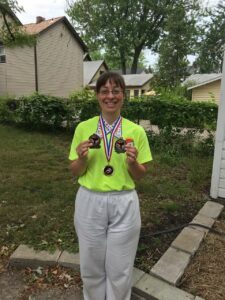 “After” weight loss – Tae Kwon Do tournament medals. I chose not to have surgery to remove lose skin, which is part of my extra weight but it’s not all of it. So now that that’s out there, let’s move on to number 2 of things I’m embarrassed to tell you about my weight loss journey, which fits together with number one. 2. I’m embarrassed to tell you how much I’m dissatisfied with the way I look. If you were to ask me what I’m most unsatisfied about in my life, this extra 10 (plus) pounds is right up there. And it bothers me that it bothers me so much. But today is all about the truth, so I have to be honest that in some ways I feel like I’ve come so close to that finish line goal weight as if it’s right at my fingertips, but I can’t quite touch it. Sara, here’s what’s going to happen over the next 10 years. You ARE going to lose 100 pounds, and then you will keep it off for the rest of your life. You’re not going to believe this, but you are actually going to complete 5Ks, triathlons, and even a Half Ironman. You’ll do 250 mile biking events for charity and you’ll earn your black belt in Tae Kwon Do. 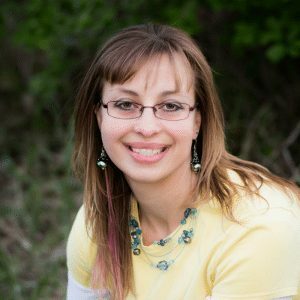 Believe it or not, you’re even going to run a weight loss program for other women and have a website where thousands of people read your story and find encouragement! But Sara, I need to prepare you. True, you are going to feel fantastic and God is going to work amazing things through your story. But you need to understand – you’re never going to quite reach your goal weight. You’ll be about 10-20 pounds overweight. Sick, tired, 100-pound overweight, binging on a regular basis Sara would have JUMPED at the chance to have that life. She wouldn’t have cared one iota about those extra 10 pounds. Now please don’t get me wrong. I feel amazing and I recognize that I am fantastically blessed. I thank God every day for what He has worked in my life. 3. I’m embarrassed that I really love junk food. I love chocolate. And doughnuts. And Cheetoes. I can’t tell you the number of fitness experts I see who talk about the perfect diet they follow. They eat clean, only indulge in healthified junk foods, and heaven forbid a McDonald’s french fry would pass their lips. And I have to tell you, that’s not me. Do I eat healthy? Yes, absolutely. My diet is largely made up of fruits, vegetables, and lean protein. I don’t indulge in junk food daily, but I eat it several times a week and I like it. I eat some type of treat food every single day. While it is true that my taste for junk food has eased somewhat since I don’t eat it daily (like I used to), I still really like it and if it’s around, I’ll either eat it or struggle to resist it. And that’s embarrassing because I feel like as a weight loss role model, I shouldn’t want those foods. 4. I’m embarrassed to tell you what my eating binges used to look like. 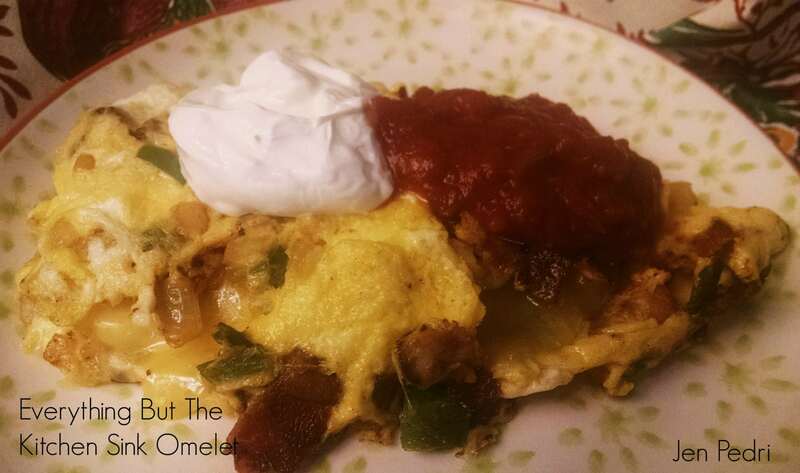 In this post I shared that when I started therapy for weight loss, during one of the very first sessions the therapist asked me to tell him exactly what I eat when I binge. Telling my therapist about my eating binges that day was one of the worst moments of my life. I felt like I was pinned to the couch, naked. Truthfully I didn’t even tell him everything about what I would eat, either. Here’s the truth about my binge eating behavior. I would eat a whole carton of ice cream on one sitting – and not those little ones, a full-sized carton. I would eat a whole box of Drumsticks ice cream cones during the course of a day, sometimes starting at breakfast. I would eat a whole bag of chips plus some other food, too. I kept certain foods hidden away so my family wouldn’t eat them and I could know those foods were there for when I needed them. I would stand at the refrigerator eating, then I would pick something out and go sit down and eat it, then I would go back to the fridge…back and forth sometimes for hours at a time. I would alternative between a sweet food, then a crunchy one, then a salty one, then back to sweet. I would eat until I was physically sick. I typically binged while I was doing something else, like reading or watching TV, which put me into a zone. I would go through the drive through and get ice cream or a sandwich and fries, eat it in the car, then go home and eat dinner with my family, too. I would hide wrappers so my husband and kids wouldn’t see. I would re-purchase food so no one would know how much I had eaten. A few times, I felt so sick and guilty I tried to make myself throw up, but I never could bring myself to physically do it. I attempted it, though. My eating was ritualistic. 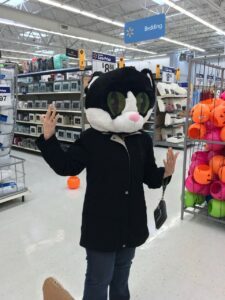 I went through phases when I binged on specific foods and I knew as soon as my hand reached for it at the grocery store, I was going to binge on that food. But I still bought it. Binge eating is a terrible behavior to live with and I won’t kid you that it’s not easy to overcome. I’m here to say it can be done. I still overeat sometimes, but I don’t binge eat anymore. Eating binges are embarrassing and deeply, darkly shameful. I’m afraid to share the truth of it because for those of you who don’t binge eat, these descriptions might seem extreme and almost insane. I knew it was extreme and crazy at the time but I still couldn’t stop binging, as much as I deeply desired stopping above all else. The compulsion to overeat was so strong, it overtook everything else during those times. As much as I’m embarrassed to share the truth about my binge eating with you, I hope that sharing will help someone else who is in the binge eating cycle and let them know they are not alone, and even more important that healing is possible. 5. I’m embarrassed to tell you how much I exercise. This last one is going to seem kind of weird because typically people love to brag about their workouts on social media (and don’t we find those people inspiring while we also kind of want to slap them), but I’m embarrassed to tell you how much I exercise. Exercise has been a huge part of my 100 pound weight loss journey. After a tough Tae Kwon Do workout. During a typical week, I work out anywhere from 10-12 times and what amounts to 15-20 hours. And, I actually work out less now that when I was training for triathlons. Then it was probably more like 20-30 hours of exercise a week. 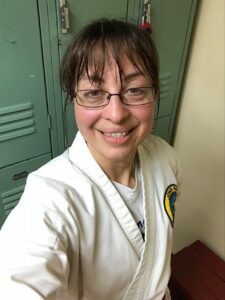 My workouts are a combination of walking and jogging, lifting weights, taking classes at the gym, and Tae Kwon Do and Sambo (wresting) training. Why am I embarrassed to tell you how much I work out? One reason is that I am afraid that for women I mentor, if they see how much I work out they will throw up their hands in frustration and say forget it. I can’t work out that much! So I tend to downplay my workouts. Another reason I’m embarrassed to tell you is that I’m afraid people will think I have some type of exercise obsession or addiction, which I don’t. I know what addiction looks like because I’ve lived that life, and this isn’t it. But the deepest reason goes back to that second embarrassment I shared above, and that is that I am embarrassed that people must think it’s insane that I work out that much and don’t have a rock-hard, super-fit body. I don’t have all the answers here except to tell you that research points to the fact that most people who lose a significant amount of weight need to exercise in order to keep it off. Like it or not, it’s a reality for most of us. 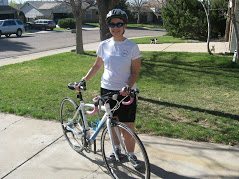 I can share that my business partner, Becky, has also lost 100 pounds and while she is certainly fit and works out regularly, she doesn’t put in anywhere close to the number of hours I do. 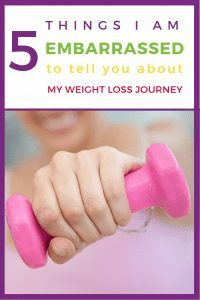 These are the 5 things I’m embarrassed to tell you about my weight loss journey. I would love to hear if these are things you can relate to along the way with your weight loss journey, too. Share in the comments below. Thank you so much for sharing, Sara. I also hate exposing my less-than-perfect places, but have learned over the years that they are valuable to God. It’s in those broken places that connections form with others and healing and freedom can take place. What a wonderful and amazing God we serve, that He can take what we see as shameful and redeem it to His glory! Sara, I cannot impress upon you enough that your honesty and “reality checks” are helping me immensely. One thing I’ve noticed for me is that if I have alcohol, I am much MUCH more likely to eat all sorts of junk that I would not normally have. When I get really stressed and overwhelmed, I tend to have a drink (or two) and then it’s “open season” on the cupboard/fridge/pantry. Reading your stories helps me know that God will give me the courage and the foresight to know what is going to happen if I allow myself to get stressed and overwhelmed. I’ll want the wine to “relax” and that will lead to a kind of eating that not only won’t be good for me, but eating that I will be embarrassed and angry about later. 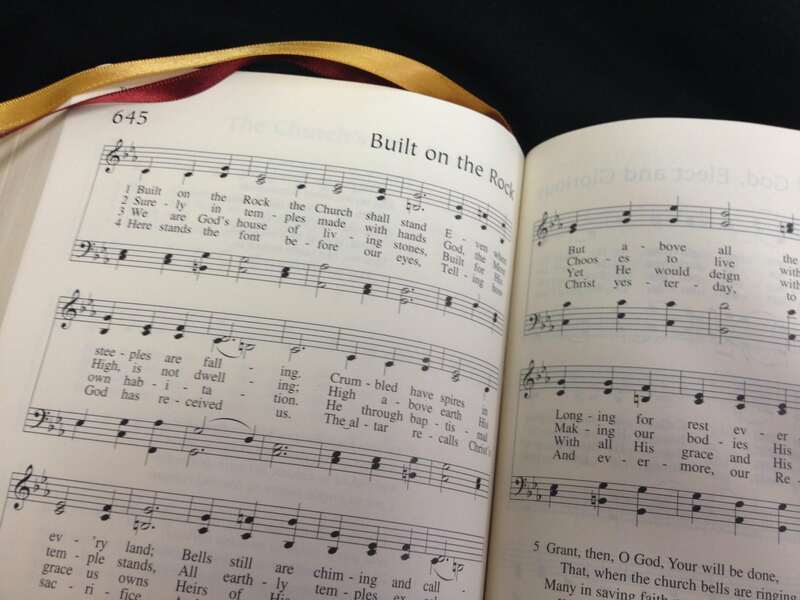 Thank you, Sara, for all you do and for teaching us how to seek and fulfill God’s will instead of our own. At my heaviest, I was 264. When my first child was born, I looked forward to going out to exercise groups and something that was very similar to WW, but called Diet Workshop 40 years ago. I actually, over the course of 2 years, got down to 129 lbs! My doctor told me I had to gain weight – between 5 and 10 lbs. That’s all I needed to hear! I thought, “I did it! I don’t have to worry or work at it anymore!” And here I am, 40 yrs later back up to 212, but coming down again…..just very very slowly. Thank you for holding my hand as I walk this path. Love you lots! Chrys, thanks so much for sharing. That is such a good point about alcohol and lowering your resolve. You have had amazing success and while I know it’s frustrating for your weight to be back up, you have so many skills and strategies that I know you’ll find success again and you ARE doing it. Way to go. I loved reading about your journey. So honest and many things I relate to as well. You are one awesome lady. And your 100pound weight loss benefits you and all who read this article. You are truly an inspiration!! Sara…You are an inspiration to all. I admire your courage being so honest about your binge eating. You look amazing. Keep moving forward and don’t look back. I wish you continued success! Wow . . . Thank you so much for sharing. In addition to your inviting writing style, I love the humorous quips here and there, e.g. wanting to slap those whose workouts are almost perfect 😊. You will keep inspiring all of us and hundreds in the future because you are genuine and want others to live the healthy lifestyle God intended. I learned a lot from what you shared—particularly binge eating. I don’t believe I have it to an extreme, but do find at times that I can eat an apple, and then, a little peanut butter, and then some ff yogurt with sf instant pudding mixed in. I am totally aware of what I’m doing, but persist until I think I’m full. Your sharing will help me with this. All in all, you and Becky are the guardian angels 👼🏻 of health and fitness! You are so sweet Patty. Thank you for your comment! You are so honest and this makes you so real to me. I did everything you did but occasionally I purged. It made the self loathing intolerable. It was easier not to diet than to continually start one with such high hopes and then plunge into despair when I failed from self sabotage. I keep asking myself, why and how I can be successful in other aspects of my life and blow this one so badly. I just started the program and you are really motivating me. I dont think you should ruminate about your exercise. With all you have on your plate, i imagine that is a great de stressor. Thats really only 2 hours per day. Your incredible energy and dynamic spirit make you so endearing. Just dont let Satan chip away at your psyche. Thank you for the encouragement MaryElizabeth. I’m so glad you are joining us! I think I love you! Your honesty gives me so much hope and encouragement. I can relate to everything you’ve said here. Instead of “entire carton of ice cream”, insert “entire 11 oz bag of M&Ms or Dove Promises or Cheetos”. I’ve bounced from every weight between 140 and 240 over my adult life. I got down to 159 two years ago, but am sadly hovering at 194 right now. But I’m making progress! I binge much less frequently, and the binges are dramatically smaller. I don’t give up, and I’m constantly working at becoming a better steward of this amazing, functional, miracle of a body God gave me. You are a wonderful transparent and authentic encouragement. Thank you. That’s wonderful progress, Kim. At times when I gained weight in the past, I felt like a “failure” but now I realize it’s all part of my journey and each time I learn new things that strengthen me for the next time. You are too sweet Tricia. Thank you.